Flu season is here, and while we all try our best to do all precautionary sanitation methods to keep illnesses at bay, sometimes, life just takes its toll on us, and we still catch the not-so-fun sniffles! We’ve got just the thing, a great flu fighter smoothie recipe. While sleep and hydration can help a lot in fighting flu, one of the best ways we can overcome sickness is by nourishing our bodies with immune-system boosting foods. Most of us know that it can be difficult to eat anything while we’re sick, and what better way to consume loads of vitamins than by gulping up a healthy smoothie? 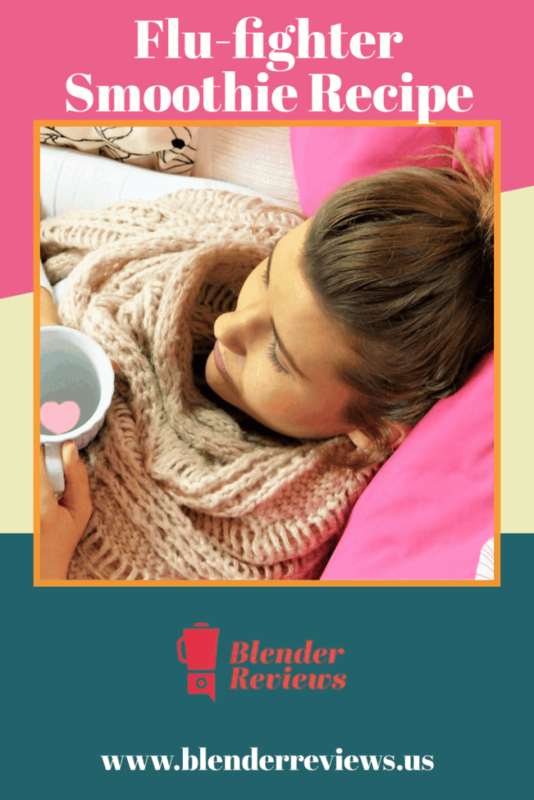 This recipe not only combats flu but also helps prevent it. So if someone is sick in the family, make sure everybody takes this, as well. Not only is this flu fighter good for you; it also tastes good! Dump all ingredients into your blender. 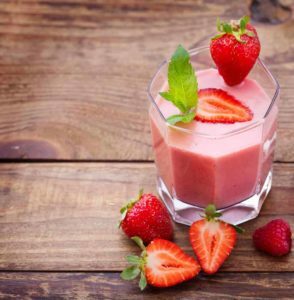 Blend for 45-60 seconds or until frozen strawberries and mint leaves are thoroughly blended. I hope you liked this recipe. Share it with a friend who you know may need a health-boosting drink.